Asus Launches Express TV Stick For High Quality Digital Video ! 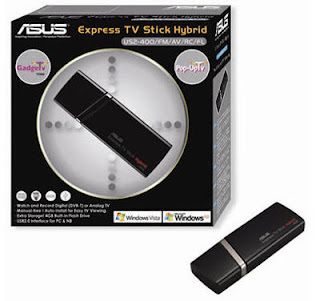 You can now have samsung-releases-another-eco-friendly-lcd-monitor/">high quality digital (DVBT) and analog TV signal reception with the help of Express TV Stick, comes from Asus. This device brings you a convenient multimedia entertainment from TV. If you want to feel the experience just plug the asus-eee-top-1602-touchscreen-rocks-in-japan/">Asus Express TV Stick into a free USB slot then you can have an instant display with the help of usb-monitor-looks-smarter-and-makes-your-work-easier/">built-in Asus Pop-Up technology. There is no duracell-launches-portable-mobile-charger-my-pocket-charger/">need to launch the programs manually. This device is the complete mitsubishi-65-inch-laser-tv-brings-you-3d-experience/">compatible with Microsoft Vista Home Premium, Vista Home Basic, Vista Ultimate and Windows XP portable-mp4-player-with-tv-inout-function/">platforms.